I am such a fan of Debi Huang’s Go Explore Nature blog and am especially crazy about her wildly successful Scavenger Hunt Series, so when she agreed to do an exclusive Mommy Hiker Scavenger Hunt, I was ecstatic! I can’t wait to do this with V and I can’t wait to hear how much fun you all had doing it, too! Let’s face it, not every kid likes to hike. And even kids who do enjoy the trail can get tired, bored or have an off day every now and then. So how do you keep the whining and complaining to a minimum when you’re hiking with kids? 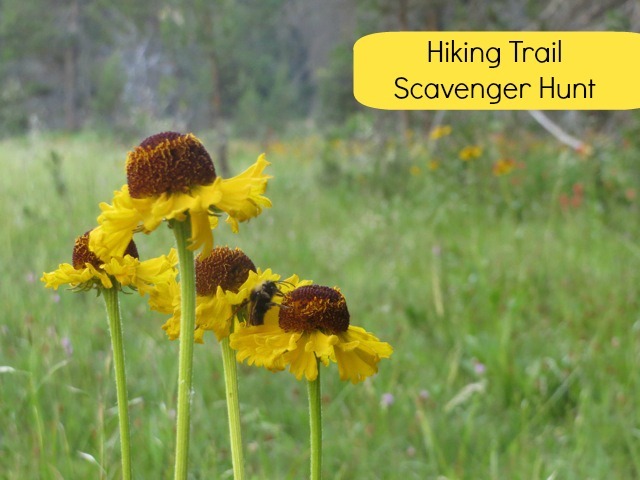 One trick that’s worked for us is to turn our hike into a treasure hunt – a nature scavenger hunt to be precise. 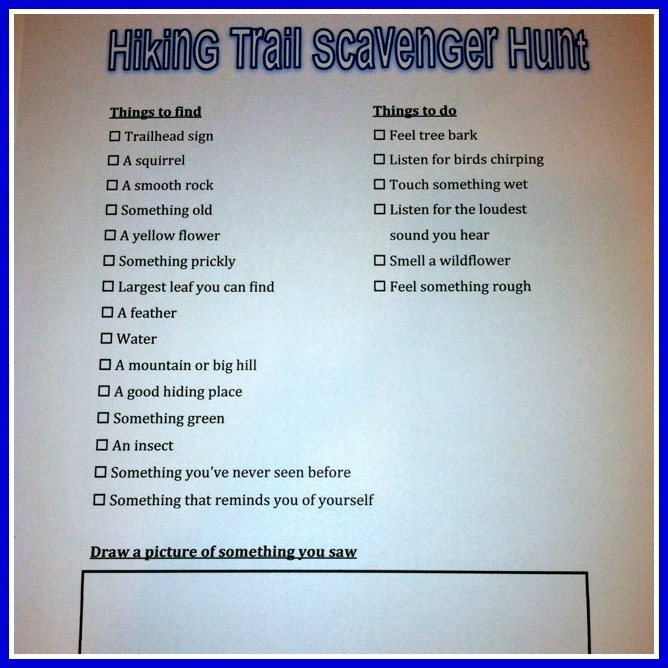 Download A Printable Version of Debi Huang’s Mommy Hiker Scavenger Hunt HERE! 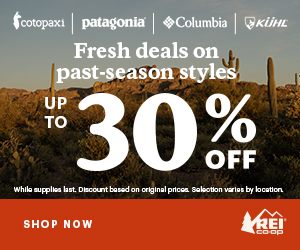 Bring the list – and something to write with – on the trail. Most kids get kinda fanatical about crossing found items off the list, so be sure to bring along a pencil. Extra points for having a clipboard or something firm to write on, too. The items on this hiking trail scavenger hunt require kids to use multiple senses. For example, kids are asked not just to find specific items, but also to listen for things, feel things and touch things. This gives them a chance to experience nature with more than just their eyes. Keep the adventure age appropriate. Younger kids and those who don’t yet read will need some help to know what they’re looking for. Adults can also help point things out to touch, listen to and smell. If you’re solo parenting more than one child, try using pictures of items to find instead of relying on the list. Older kids may enjoy snapping pictures of the items they discover. Or they might want to find a quiet spot on the trail to journal or sketch their findings. Leave nature in its place. Our one rule with nature scavenger hunts is that we leave all of the items on our list right where we found them. This helps support both curiosity and respect for the environment. 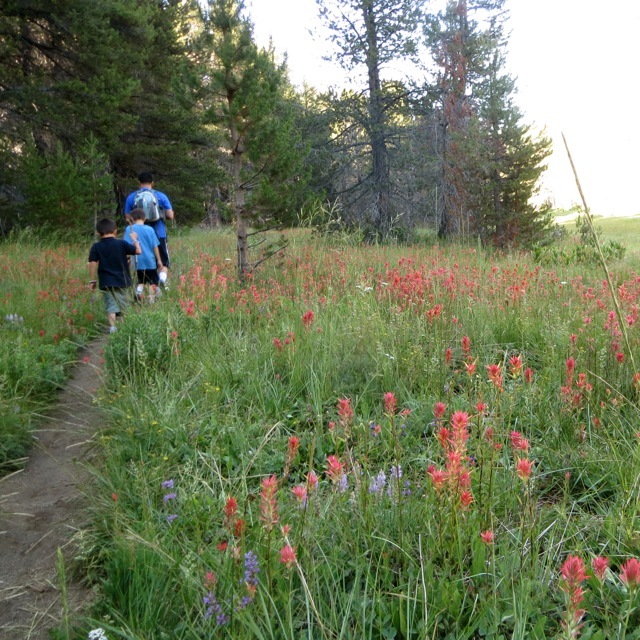 Hiking with kids isn’t necessarily about how many miles you log or the final destination. It’s about the journey. If your child is having fun exploring nature by searching for the items on the hiking trail scavenger hunt, relax and enjoy it! These are the moments that will instill a love of and wonder for nature long after the hike ends. When you finish your hike, take a few minutes to enjoy something cool (or hot) to drink (or maybe a sweet treat). 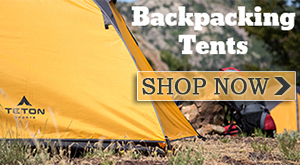 While you’re at it, talk about all the new and exciting things you discovered on your hike. Armed with their own to-do list, most kids will venture far further than they you might expect. Happy exploring! 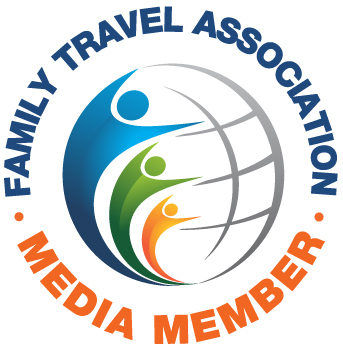 Debi Huang is a Los Angeles-based wife, mom and adventure guide for two young boys. Her blog at Go Explore Nature is all about getting kids and families outdoors and connected to nature in the backyard and beyond. This is a great idea! Thanks for sharing and the list of items.